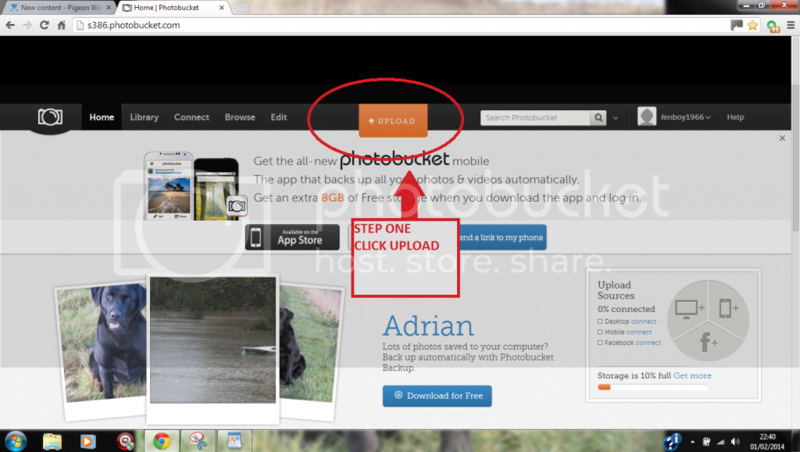 After reading posts on a regular basis on how to post pictures, I thought I would put up a easy step by step guide . 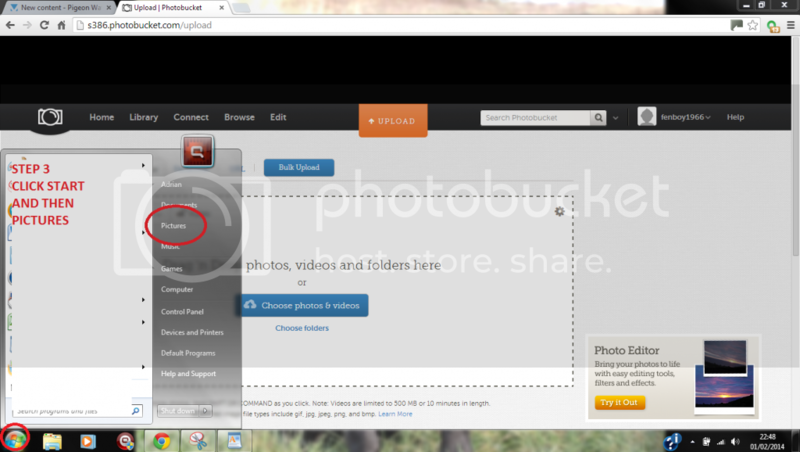 I use photobucket so have based it on that , you can open a photobucket account free at www.photobucket.com. 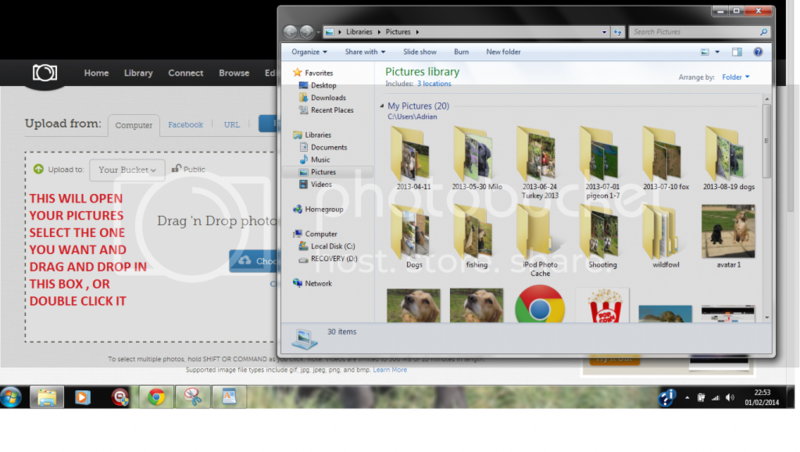 Its very handy to back up you photos on there as you will not lose them if you computer dies etc ! 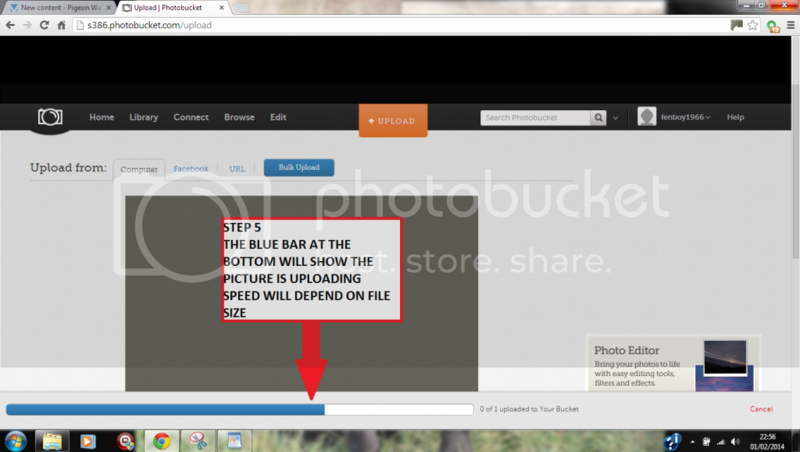 Photobucket will also resize photos automatically so they are the correct size for the forum , so no more annoying "file too large" messages. Once you have pasted your code into your thread it will appear as a picture once you have submitted it. When I try to post a picture it will say that it is copied but it will not let me paste and the paste is not in bold lettering so I cannot do it any one know why. 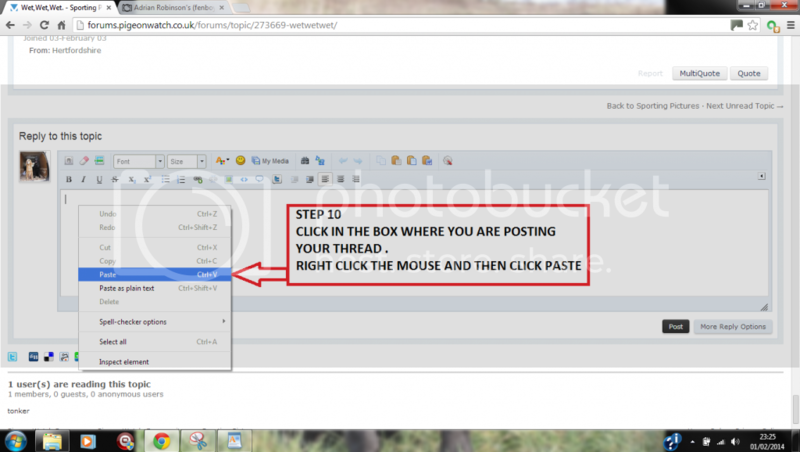 Are you trying to copy and paste the actual picture or the image code ? Not sure then , its working fine for me. Ctrl+v it is thank you young man. I am having this trouble also. 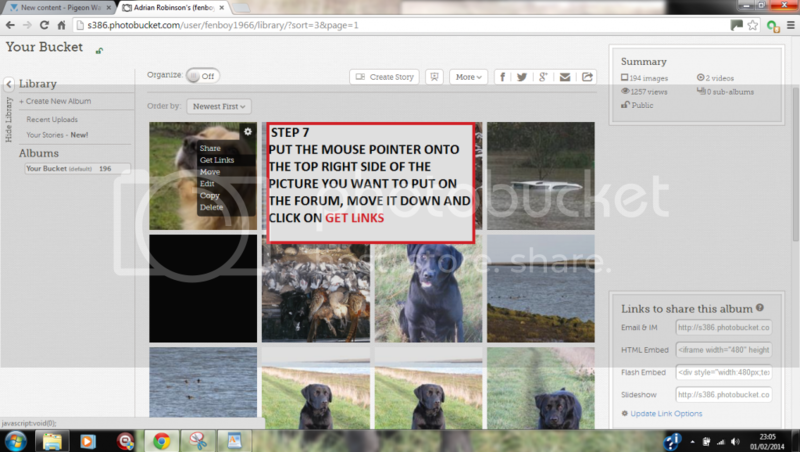 When I tried this the other day it worked brilliantly but I have now gone back to do some more and it doesn't work. I have just tried ctrl+v and that doesn't work either. 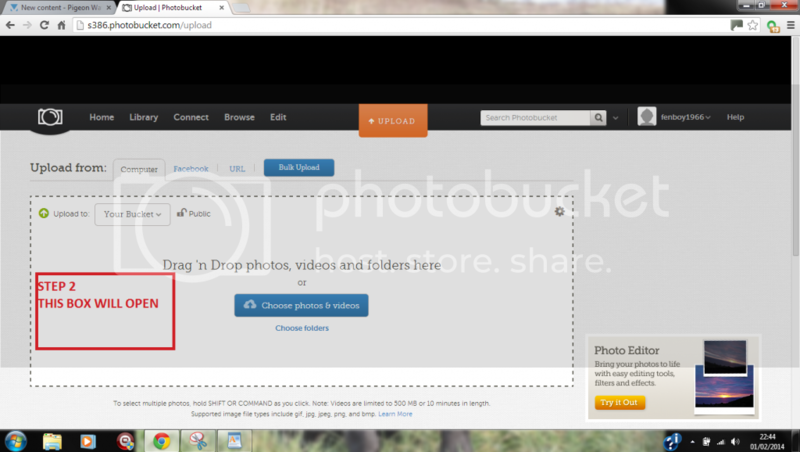 I have tried to import a fresh pic in to photobucket today to see if that maked a difference but again no joy. Not sure why you are having a problem . 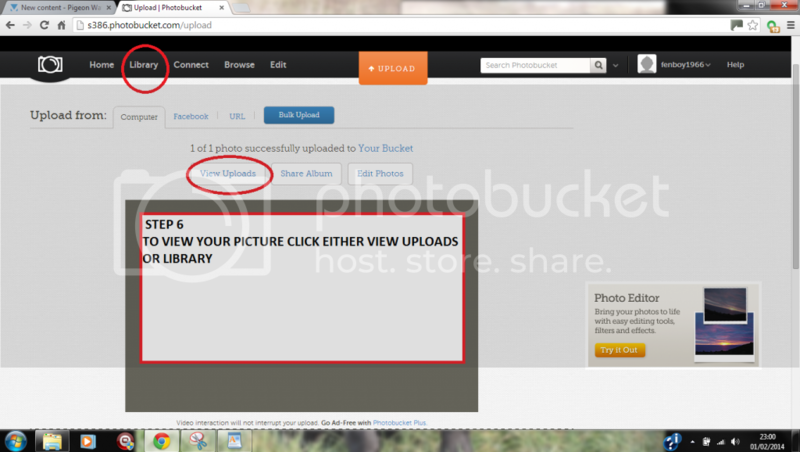 Occasionally I have had to go back to the photobucket home page after downloading a photo rather than going straight to the library or recent download tabs. Try going back to the home page then select library and then try selecting the picture you want , other than that I have no idea Sorry. Hi Fenboy...............Thanks for replying ............still no joy , now waiting to hear from photo bucket help line, but thanks for trying and all the best..........M M.
The odd thing is..... you could previously go to the bottom right of the write/edit post box and click on "more reply options" and browse your computer images to add a file straight in if small enough. This option now seems to have been closed off in the last few weeks..... shame, has the site system changed this function? I have no idea , the great thing about using PB was the fact that there is no need to faff about resizing pics as it does them automatically . 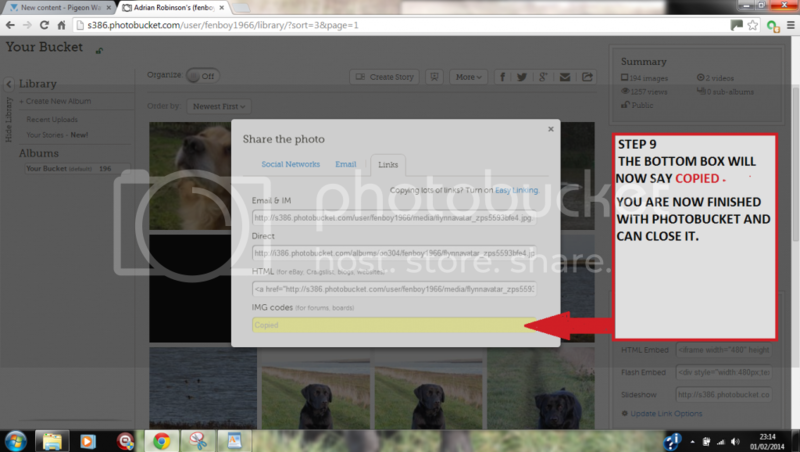 When you click on the image link does the box turn yellow and say copied ? 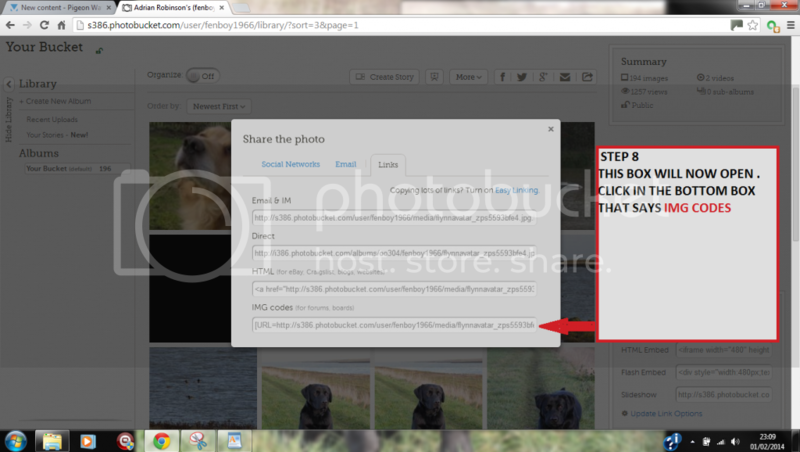 If not try going to the home page , then library and try selecting it again. Other than that I have no idea . Been a great help thanks fen boy! It has changed slightly on PB but it is essentially the same . When I have time later in the week I will try and update the slides that have changed , in the meantime it is simple enough to work out. Glad people are finding it useful.